This exclusive new development sits alongside the Southborough Community Hub, which will offer a range of new amenities to residents. Located just one mile from High Brooms train station, Spectrum is perfectly located for those looking to commute, with a journey time of around 50 minutes into Charing Cross and Cannon Street. Offering a high specification throughout, these homes boast light-filled open plan interiors with superb attention to detail, with large expanses of glass to allow for an abundance of natural light. Homes will be available with as a little as 5% deposit using Help to Buy, meaning your move could be more affordable than you think whether you're looking to take your first step onto the property ladder or you're ready for the next step! Join us to tour of our brand new 2 bedroom show apartment and find out how we can help you make your move to Spectrum! Please note there is no Marketing Suite parking, however Yew Tree Road public car park is located nearby with free for the first two hours (using Sat Nav: TN4 0BD). Please note there is no parking available at Spectrum, however Yew Tree Road public car park is located nearby (the first left after the development) and is free for the first two hours. Discover something truly unique on the historic cobbled streets of Tunbridge Wells where a different experience awaits around each corner. Hand pick an iconic suit madeto measure at the exquisite Hardman and Hemming or discover luxury Chelsea soles at Russell and Bromley. Take a trip to The Pantiles and experience the cosmopolitan jazz and food festivals nestled amongst the historic boutiques. Watch the world go by with a hand crafted cappuccino at one of the many colourful coffee houses or discover a new favourite at the industry recognised Fuggles Beer Café. For craft beers, try the ever-changing ales of The Pantiles Tap. Tunbridge Wells is teeming with lively restaurants and inviting bars. Indulge in the stunning chef’s tasting menu at the Michelin-recommended Thackeray’s where lavish cuisine and home-grown talent are celebrated. Southborough boasts excellent transport links with the A26 taking you straight into Tunbridge Wells while the A21 is just eight minutes by car. From here, Hastings and its stunning seaside and Blue Flag beaches are just a short car journey away while for the M25 and its links into London and beyond, just head north. High Brooms train station is just a 20 minute walk and from here you could be in London’s Charring Cross in 52 minutes. The cosmopolitan city of Canterbury with its impressive bars and magnificent cathedral is only 55 minutes away. Whether you’re traveling for business or pleasure, you are spoilt for choice with four airports within easy reach of Spectrum. Gatwick and its international destinations from New York to Thailand are just a 44 minute drive. Moving into a new home is the perfect opportunity to ‘Marie Kondo’ your life. Hit new Netflix series Tidying Up with Marie Kondo has taken the UK by storm, with people across the country embracing her methods to transform their home into a permanently clear and clutter-free space. 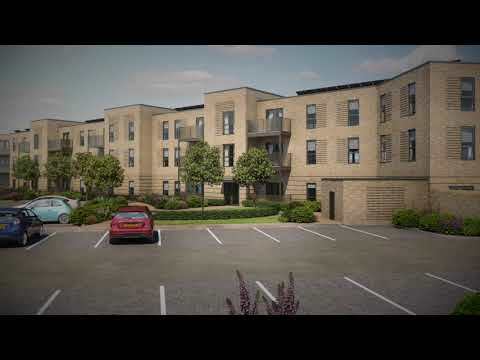 Award-winning developer Crest Nicholson has recently launched Spectrum, its latest development in Southborough, Kent. Launching on 2nd February, Spectrum comprises a contemporary collection of one and two-bedroom apartments, perfect for those looking to take their first step onto the property ladder. Prices at Spectrum start at £255,000 for a one-bedroom apartment, and at £320,000 for a two-bedroom apartment.